I picked these up from Boots awhile ago because as I mentioned before I’ve really gotten into swimming again. It’s fun, relaxing, and really good exercise. I don’t really have colored hair anymore as I cut it all off but the fact that it had Sun Swim & Gym in the name intrigued me which is why I got both the shampoo and conditioner without even reading the back. The previous shampoo I was using (which I’ve mentioned here) did nothing for my hair so I passed it along to someone else and went back to using this again (I’ve been using it all summer especially when I was swimming during Ramadan). This unique range of products has been specially designed to care for and protect your hair from salt, chlorine and UV damage. Use the sun swim & gym on holiday or after a swim to remove chlorine odour and to help keep hair hydrated and healthier looking. Designed to help enhance the vibrancy and depth of your coloured hair. 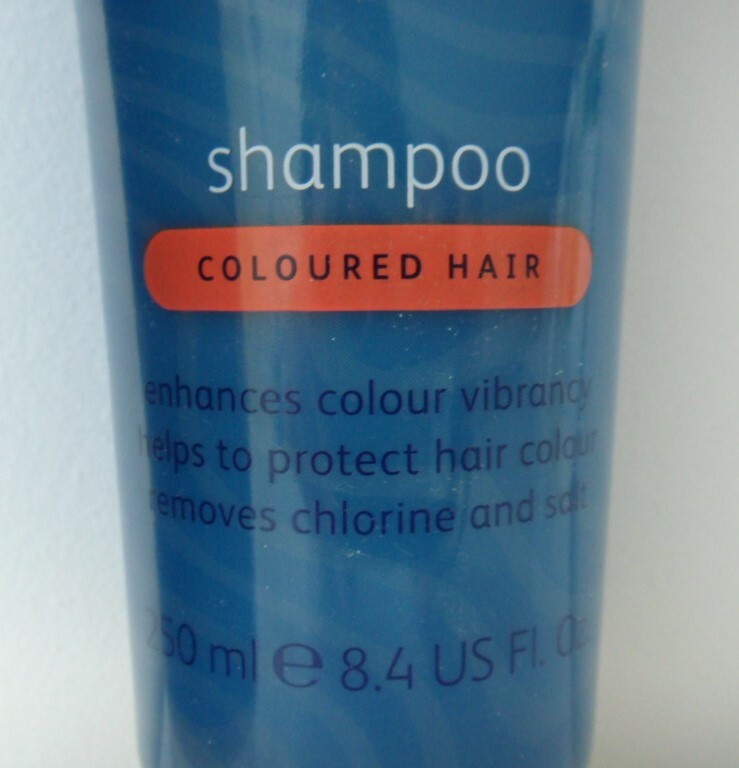 This specially formulated shampoo is ideal for use after a swim or a day in the sun. It removes chlorine leaving your hair clean and refreshed while removing dulling deposits to ensure your hair is left shiny. Helps to protect colour when used as part of our sun swim & gym colour regime. Perfect for keeping in your gym bag or taking on holiday. Massage on to wet hair working into the hair and scalp. Rinse thoroughly and repeat as necessary. Follow with Sun Swim & Gym Conditioner for Coloured Hair. Designed to help enhance the vibrancy and depth of your coloured hair. 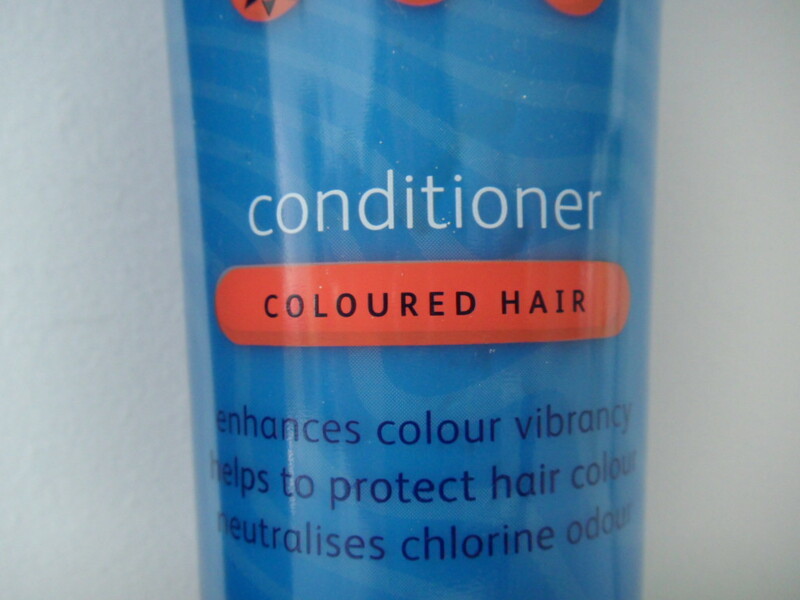 This specially formulated conditioner is ideal for use after a swim or a day in the sun. It leaves hair detangled, manageable and your colour revitalised. Helps to protect colour when used as part of our sun swim & gym colour regime. Perfect for keeping in your gym bag or taking on holiday. After shampooing with Sun Swim & Gym Shampoo for Coloured Hair, work evenly through the hair from root to tip. Rinse thoroughly. I’ve tossed these in the shower stall adjacent to the pool so that everyone who comes over for a swim can use them. 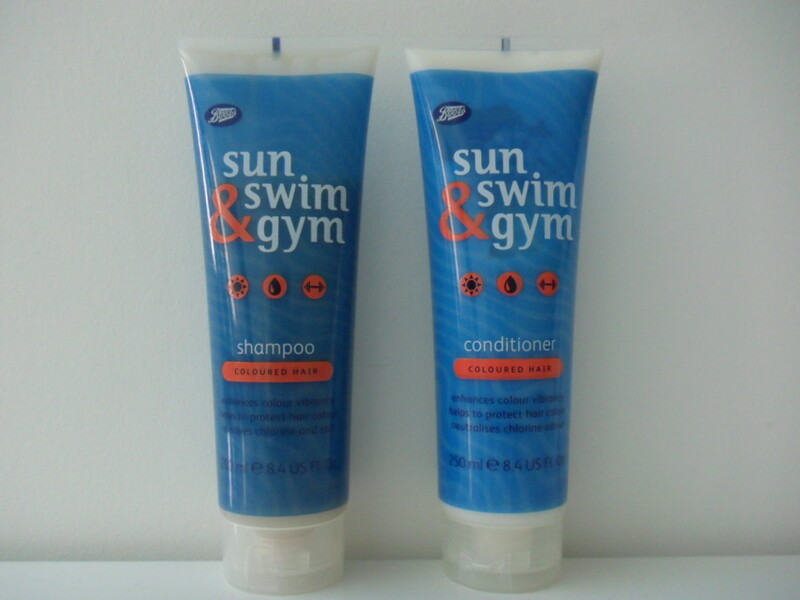 I’ve been asked several times where I purchased the Sun Swim & Gym shampoo and conditioner duo. Everyone loves them! First off, the duo comes in a bright and fun color. Even though they’re not transparent, you can sorta’ see how much product is in there which is handy because you can gauge how much you’ve got left before you run out. They both have a slight chemical smell with undertones of cocoa butter which I find quite pleasing. The shampoo smells more chemically then the conditioner for some reason but I find the scent of both of them pleasant. It actually reminds me of something but I just can’t place it, maybe a fancy spa or something. As for the way they perform, although they’re not very foam-y they both still lather quite nicely. Not only the conditioner, but the shampoo as well makes my hair actually softer and much more manageable (read: less wild). As I said before, my hair is prone to tangles and knots. Apparently the shampoo is designed to remove product build-up as well which I absolutely love. I mentioned my preference for hair care products that remove buildup in the last paragraph in this post here. Because it’s not weighed down by residual product build-up from my other hair care products (dry shampoo, or any other type of spray, oil or serum, etc…) as a fun side-effect my hair is not only softer but has way more volume! Plus this stuff also claims to protect colored hair. My friends swear up and down that this stuff makes their hair shinier as well. Basically, everyone loves this stuff. I totally recommend you give the Sun Swim & Gym Shampoo and Conditioner a try. Like they said in the excerpt, this is perfect for swimming, gyming (yes, that’s not a word but kayfee) or just a day of fun in the sun. You need this in your life! You can pick up this awesome budget-friendly shampoo and conditioner (that looks fun, smells pleasant, feels great and performs wonderfully) at Boots.